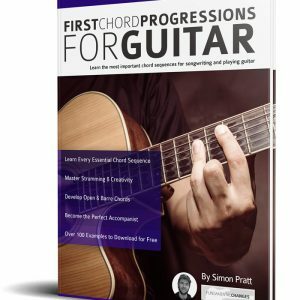 In Sam Smiley’s groundbreaking book, the essential language of country guitar is broken down in to short, authentic phrases which have been lovingly transcribed from the best country guitar players in the world. Examples come from such diverse players as Albert Lee, Brent Mason, Don Rich and Brad Paisley. In order to quickly master any language, it is best to immerse ourselves in its dialogue. Instead of learning grammar and sentence structure first, the way we naturally learn to speak is by learning words and phrases from our parents. Chicken Pickin’ applies this concept to the the way we learn country guitar, and instead of teaching you theory first, you’re immersed into a world of exciting, dynamic licks and vocabulary. 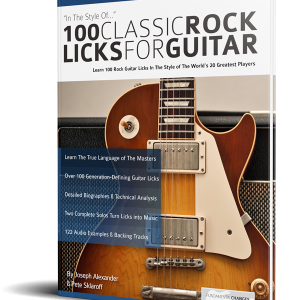 All the licks are written in standard notation and tab and include corresponding audio examples. Chicken Pickin’ also includes extensive sections on the important techniques of country guitar, specialized oblique and pedal steel bends, muting and hybrid picking are all covered in detail. 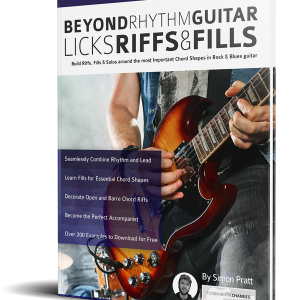 In addition, there are biographies and information on all the important players, plus a large section on getting the right gear and tone to sound authentic. 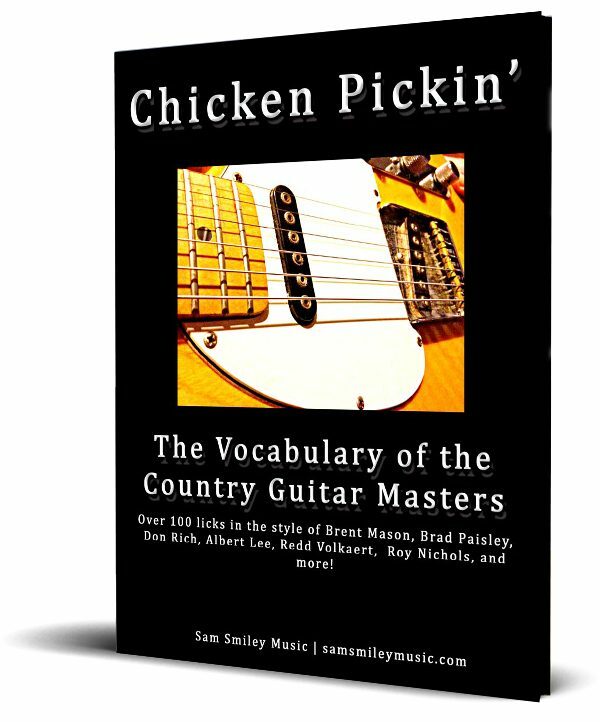 Chicken Pickin’ The Vocabulary of the Country Guitar Masters is available from Amazon in paperback and eBook formats, and available for download as a .pdf from the link below. 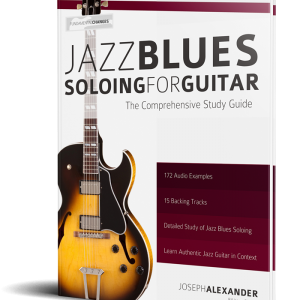 If you want to quickly learn country guitar soloing and develop authentic language, this is the method for you.